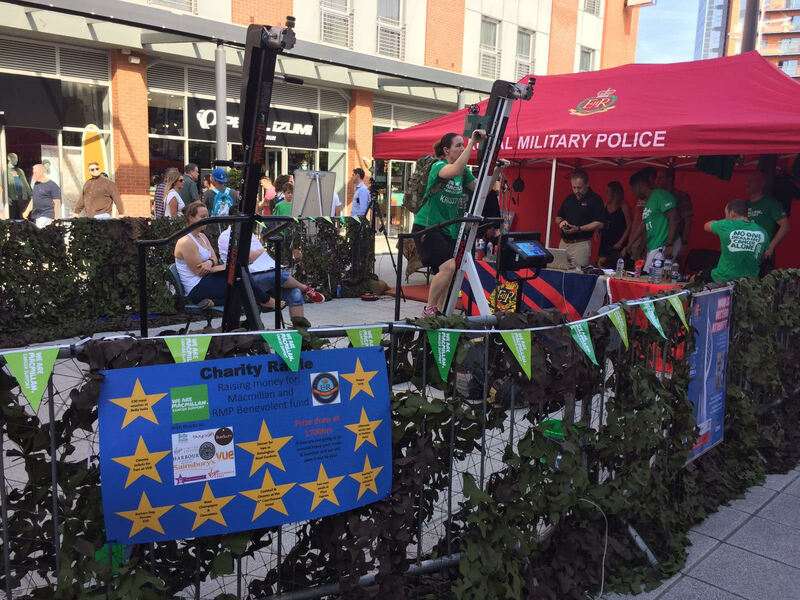 As you may have read in our blog last week, Saturday saw eight members of the British military embark on a world record attempt to climb the greatest height possible in eight hours on a Versaclimber – all this while wearing 40lbs army backpacks. We are pleased to announce that Staff Sergeant Benjamin Bosworth and his team were successful in their attempt, climbing 61,371ft (18.82km) over the course of the day – surpassing the target by 20 per cent! Taking into account the statistics for each of the team members of the day, each person climbed on average at a rate of 134ft per minute – resulting in a total team effort that would scale Mount Everest twice. So far, the team has raised approximately £2,400 for Macmillan Cancer Support and The RMP Central Benevolent Fund, with more funds to be added once donations from on the day are taken into account. Inspired? Take a look at the list of current Versaclimber world bests on our records page.